We'd put the great Eddie Hinton right up there with Dann Penn and Spooner Oldham for southern soul songwriting genius – and like that pair, Eddie never got as much time in the spotlight as he did in the background – where his genius for a heartfelt tune helped give more than a few artists some great success over the years! 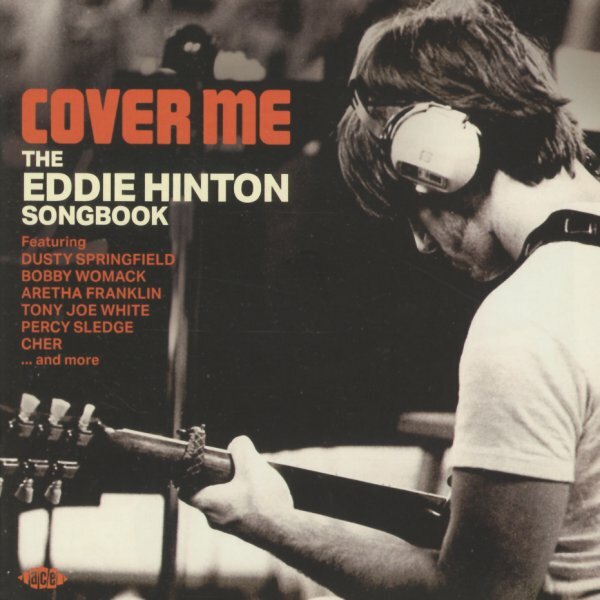 This package is a long-overdue look at Hinton's mighty talents with a tune – and it includes a great mix of soul, rock, and pop artists taking on some of his finest work – mostly recordings from that late 60s/early 70s time when Eddie was working at full capacity – and lending his talents to some killer tracks coming out of the Muscle Shoals scene. Most numbers have a deep soul vibe – even the rock ones – and titles include "Cover Me" by Jackie Moore, "Down In Texas" by Oscar Toney Jr, "Every Natural Thing" by Aretha Franklin, "Love Waits For No Man" by Al Johnson, "Lay It On Me" by Gwen McCrae, "Poor Mary Has Drowned" by Brick Wall, "Masquerade" by Don Varner, "A Little Bit Salty" by Bobby Womack, "Sure As Sin" by Candi Staton, "300 Pounds Of Hongry" by Tony Joe White, "Always David" by Sweet Inspirations, "Where's Eddie" by Lulu, "Breakfast In Bed" by Dusty Springfield, "If I Had Let You In" by The Box Tops, "Home For The Summer" by The Hour Glass, "People In Love" by Lou Johnson, and "Where You Come From" by Bonnie Bramlett. © 1996-2019, Dusty Groove, Inc.